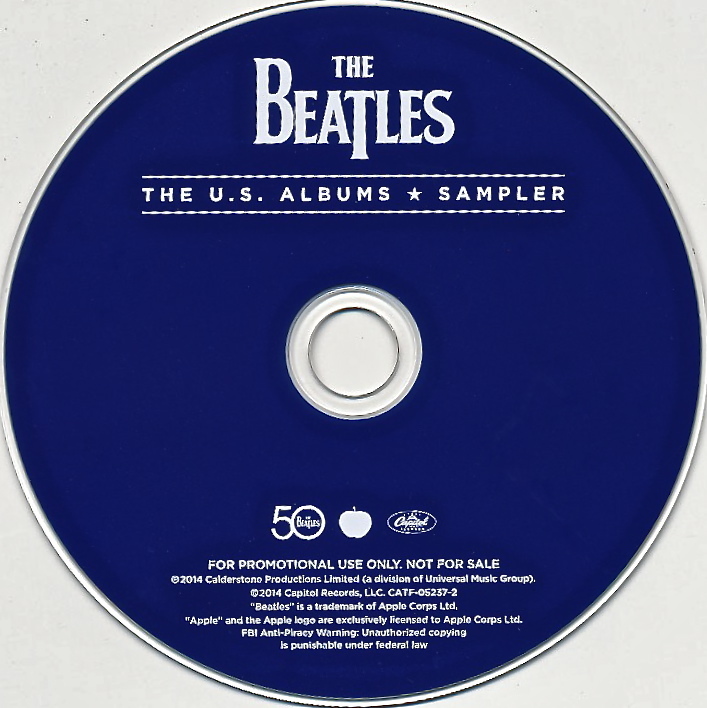 We’d been looking to purchase (if we could) a copy of the 25-track “sampler” CD released to promote the Beatles The U.S. Albums box set. These have been selling on eBay for upwards of $75.00…and more. Really, too much! Then the other day we get home to find a small parcel had been delivered. 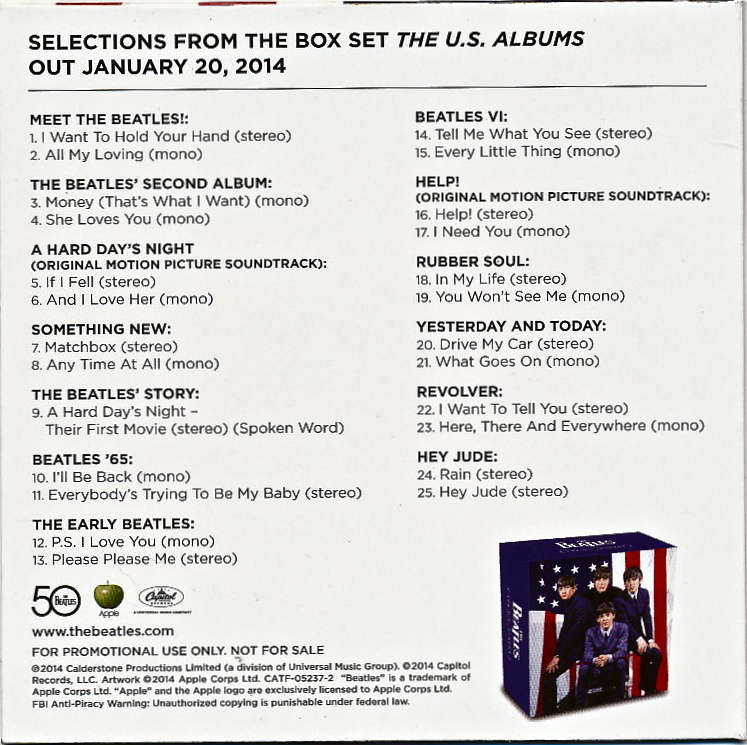 Inside – you guessed it: a copy of the rare and collectable sampler CD. A friend in the music industry had more than one copy and so he’d sent it over – as a gift. Some people are kind. And generous! 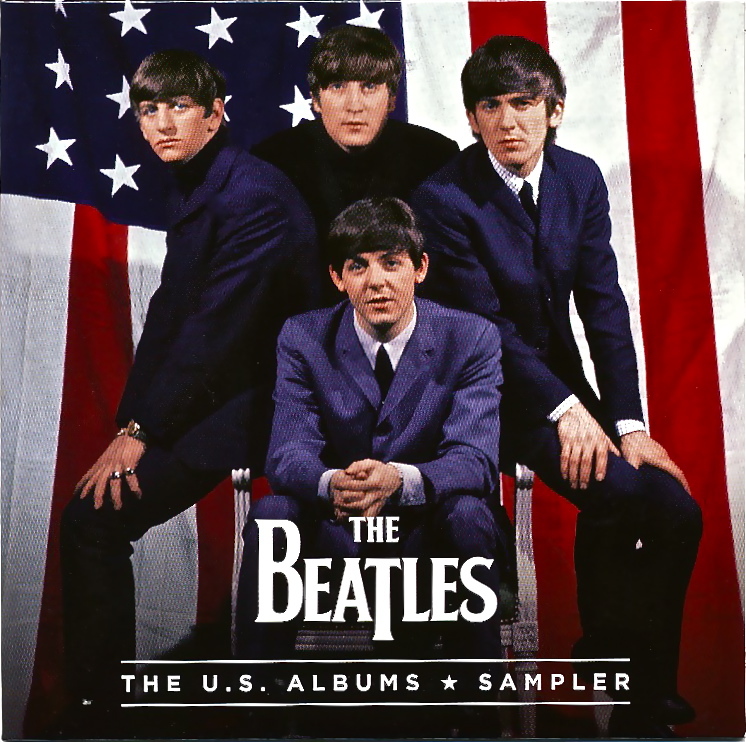 This entry was posted in Beatles, Beatles Collecting, Beatles Music and tagged Beatles, Music, Promo, Sampler, The U.S. Albums by beatlesblogger. Bookmark the permalink. That’s great that someone was able to send one to you. I also have one I was able to get for just $20.00. Looking forward to your review.